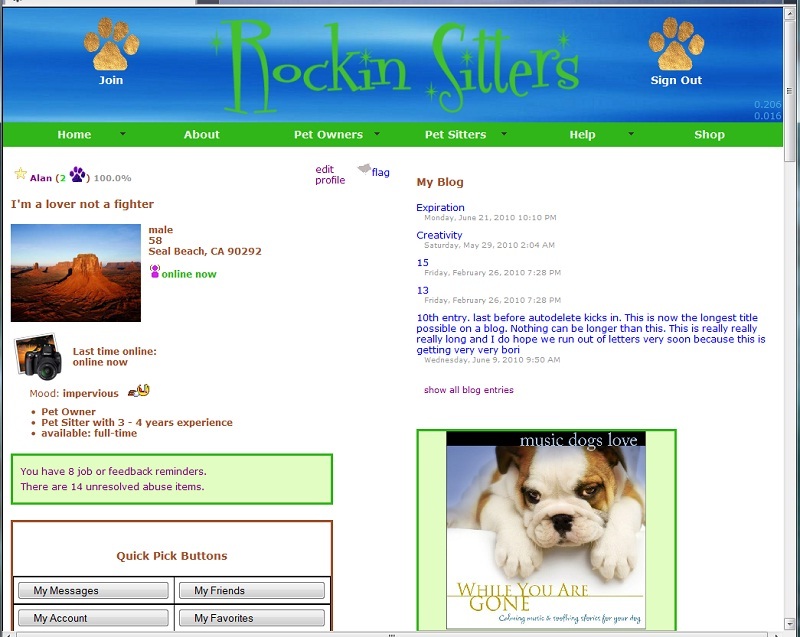 If you are a registered Rockin Pets member and had intended to view your own profile or info page, please login to try again. 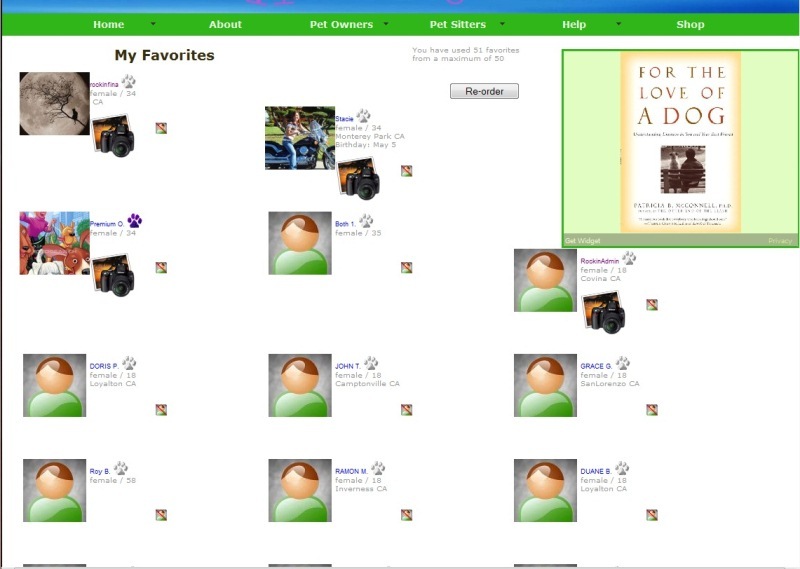 The top portion of the profile page, which is included with a premium membership, consists of the member's personal information and selected avatar, links to the member's photo albums, their current mood, and their blog list. The blog list gives direct access to the most recent five blogs the member has published, as well as a link to their full blog archives. The middle portion of the member's profile shows the contact block with various messaging, friends and favorites buttons to allow other members to interact. Also, the member's profile URL is shown. This URL can be given to friends and family for direct access to the member's profile page from anywhere on the internet. The feedback block is shown, which summarizes the member's feedback received over the last month, 6 months and 1 year. The "My References" section is actually a general information box that the member can fill with pictures, personal information , etc. Each general purpose section on the profile page can be retitled as the member chooses to more appropriately show how they wish to organize their thoughts and presentations. On the right half of the middle section another large general purpose section, initailly titled "About Me" is intended for the member to publish information and pictures that show their personality and interests. Under the About Me section is the My Friends section where the member showcases a selection of their Rockin Pets friends. 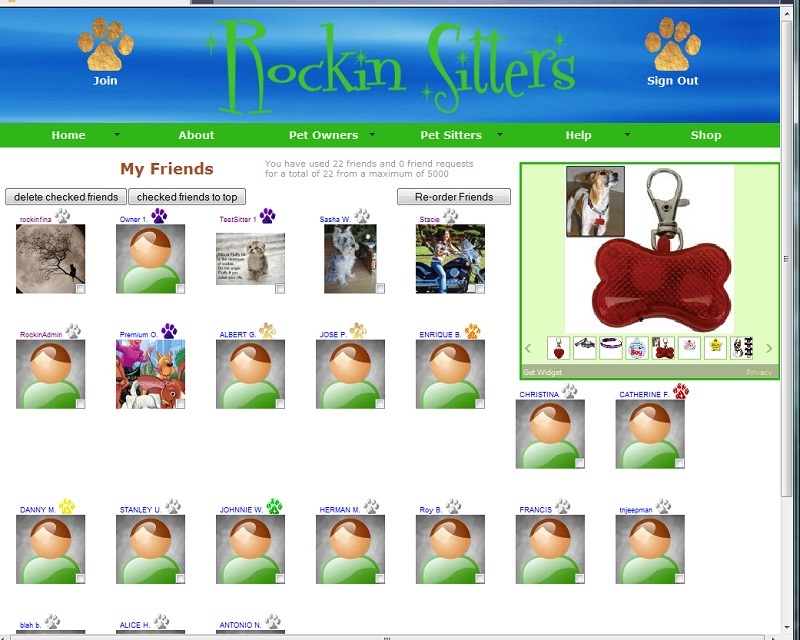 The bottom section of the profile page includes another general purpose section intended to showcase the member's pets. This section can be renamed as desired and has plenty of room for pictures and text. 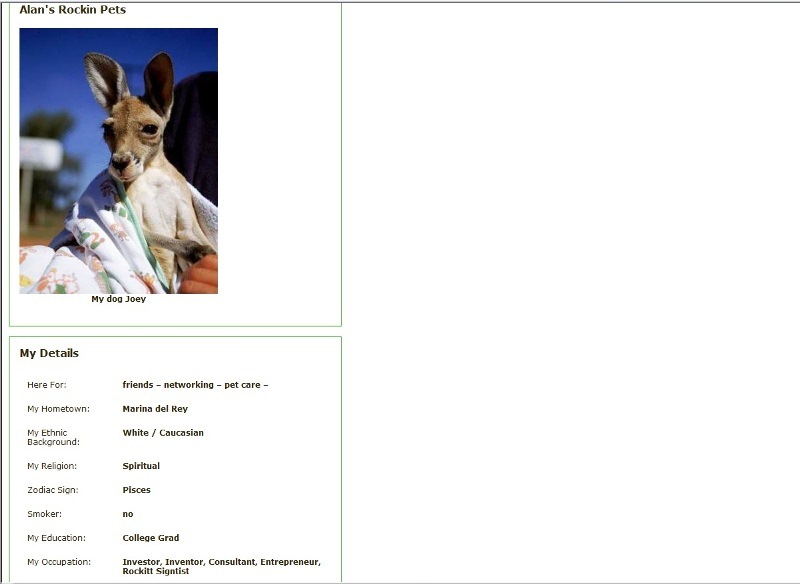 Finally at the bottom is the My Details section which shows a few more standard statistics about the member. Any or all of the categories can be hidden or left blank. One adjunct to the member's profile page is the member's friends page. Here a member can organize, re-order, add and delete friends from their list, as well as keep track of other members they have invited to become friends, as well as members who have invited them to become friends.